Crews nicknamed him “Tyson” after the movie “The Hangover.” Officers said Tyson was well fed and in good shape but badly housed. In Texas it’s legal to own a tiger if the owner has a wild game permit. 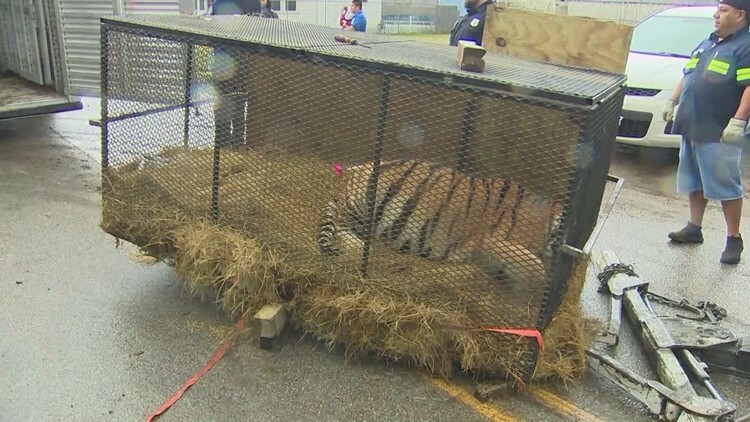 However, it is illegal to have a tiger in Houston and the owner, if they’re ever found, could face a hefty fine.